September 17, 2016 in Articles, Features. Because of the complexity of various forms of meditation, the text is broken up into two main areas, although it could be broken down much further. Christian meditation takes the form of prayer in order to appreciate the revelations of god. This can be done by concentrating on a passage in the bible and considering its meaning in the context of a love of god. It is also a tool used to increase knowledge and cognisance of Christ. The main distinction between Christian and perhaps the more mystic forms of meditation is that the former is focused on the revelations provided by god in the bible and through the life of Christ: whereas the latter is more focused on technique and mantras, though they are not mutually exclusive. So, god is central to the Christian form of meditation. But with Christian meditation the mind has to be filled with thoughts of god and his message; whereas in eastern, non-Christian forms of meditation the mind is much more passive and observant. Although I’m using the word meditation, the practice in Christianity can really be defined as contemplation, in that there is a conscious attempt to praise god through appreciating and understanding the words of the old and new testaments and the life and deeds of Christ in the latter. There is an organisation called The World Community for Christian Meditation. They declare that the practice of meditation has become suspect and marginalised and talks about a great recovery of the contemplative dimension. Again the word contemplation is used as a synonym for meditation. A mantra is also suggested, maranatha – our Lord is. You can make up your own minds about that. The recommended posture is similar to that for Buddhist meditation. I won’t say much about the Jewish tradition of meditation except to say that it is a highly complicated affair and that it is based on the Kabbalah. As I understand it, the Zohar is at the foundation of Jewish mystical thought informing the Kabbalah. The meditative practices are based on the tradition of visualisation and intuitive methods which should lead into some kind of insight brought about by a contemplation of god. Wikipedia defines it as a conceptually directed intellectual method of meditation. Core meditation techniques are basically methods of meditation that are transmitted from a teacher, usually of a particular tradition, passed on to a practitioner. However, in the west, many people have adopted the Buddhist model of meditation without declaring that they are Buddhists. Rather than go into detail about other methods of meditation, I’ll list the main types and be brief about them as the subject is quite exhaustive. Goenka, who recently died, taught the vipassana method of meditation which he learned in Myanmar. All participants follow the role of a monk for ten-days, arising at 4 am, not eating after mid-day, having no contact with the outside world and remaining silent. There is in excess of 10-hours of sitting and walking meditation. Practitioners are free to discuss any problems with a mentor. The focus is mainly on the breath; and the word, vipassana, literally means insight meditation. Rob Nairn is trained in both Buddhism and psychology and became a teacher in the Kagyu Tibetan lineage, mainly in South Africa. His teaching is based on mindfulness, being present in the moment and thus accomplishing tranquility leading to compassion for all sentient beings and acquired wisdom. The word zen derives originally from the Sanskrit word dhyana which can roughly be defined as a meditative state. As with other Buddhist meditations, the ultimate goal is enlightenment through direct insight. There is a de-emphasis on knowledge and a focus on zazen, similar to other methods of meditation, by letting thoughts pass by without becoming involved with them but being mindful of them. This book is a synthesis of Buddhist thinking and recent theories of scientific thought. Although it is a bit dated now, there are some insights into the nature of reality from different points of view: from Matthieu Ricard who began life as a researcher into cellular genetics and became a Buddhist; and Trinh Xuan Thuan who began as a Buddhist and later taught astronomy at the University of Virginia. He is the founding member of the International Society for Science and Religion. 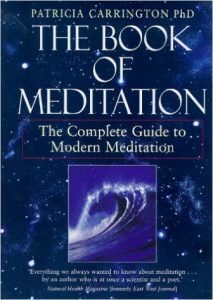 As mentioned before, this is described as The Complete Guide to Modern Meditation. Patricia Carrington is a clinical psychologist, researcher and psychotherapist specialising in stress management techniques. She uses meditation with many of her patients and has published papers on the subject. She calls her methods EFT or emotional freedom techniques. 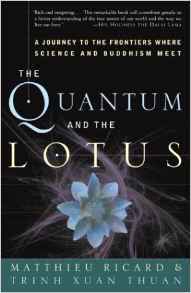 I find the way she blends science and meditation quite fascinating as it is widely researched. Carrington uses scientific methods to verify the advantages of meditation using a wide variety of studies concerned with the physiological advantages, stress management, dreaming, the use of mantras, creativity, education and many mores areas. Lastly, I would like to recommend the book Thinking, Fast and Slow. Daniel Kahneman won the Nobel Prize in Economics and is a senior scholar at Princeton University. There is no direct reference to meditation, but concerning how the mind works, his insights are invaluable. He writes about two systems of thought: System 1 operates automatically and quickly, with little effort and no sense of voluntary control; System 2 allocates attention to the effortful mental activities that demand it, including complex computations. The operations of System 2 are often associated with the subjective experience of agency, choice and concentration. System one, I believe, is the precursor and nearer to a meditative state. The reason I’ve included Kahnneman in this talk is because I think it’s important to know as much about thought processes in order to identify what is being dealt with in meditation. An analogous situation might be the learning processes involved in cycling, driving a car or swimming. At first, there is a conscious effort to transfer the skills into habit-forming actions which eventually become ‘second nature’. We are not consciously aware of changing gears and avoided obstacles: rather, they become automatic or intuitive and we are able to ‘let go’ of a conscious effort to drive, swim or ride a bike. I think the best example I’ve come across in the distinction of these two states and how system 1 can exist as an automative function of the mind whilst system 2 is in operation. Finally, see Andy Puddicombe describing mindfulness on TED . Dynamic Views template. Powered by Blogger.